The most romantic getaway island vacations are those giving you a beautiful setting, great food and of course a romantic experience. Islands offer culture, excitement, entertainment and many activities to keep you busy. Then again, you may not need a lot to do once you get there. 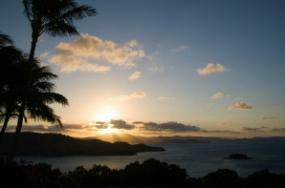 Romantic island travel can rekindle a marriage, start a romance or just be a good thing for a weekend away. What makes these the most romantic? They offer amazing settings and activities perfect for a romantic evening. Around the world exotic vacation spots can be found. Depending on where you want to go, these are some of the most romantic spots around the globe. The Caribbean Islands offer much more than just a unique culture and great weather. They also have some of the best settings for a romantic getaway. St Lucia: One of the best in the Caribbean, St Lucia is an ideal romantic getaway. You can get lost in the exotic forests and fall in love together while hiking through mountain peaks. Best of all, the beaches are breathtaking and unspoiled. They offer an amazing place to watch the sunset, or sunrise. Turks and Caicos: Those looking for quiet romance will find it here. These Caribbean Islands offer more than 200 miles of white sand beaches that are deserted. You can dive to the coral reefs, enjoy the wildlife or just relax on the beach at Turks and Caicos. On the other side of the world is Hawaii, one of the top honeymoon vacation spots in the world. The location has quite a bit to offer, including romance. Oahu: Here you will find Waikiki, one of the most well known beaches. Once you get beyond the beach, Oahu offers a number of amazing spots for romantic dinners, picnics in the park or even just places to stroll together, hand in hand. The ocean here is pounding and full of life. Lanai: Lanai is a Hawaiian island that boasts only 3,000 people. It is a small, exotic getaway and definitely the place to see nature at its best. Lanai City offers a charming atmosphere and boasts some of the most amazing views of the ocean. The spas, fine dining locations and the tropic experience are perfect. The Manele Bay Hotel located on Lanai is one of the best in Hawaii. Kauai: Take a trip to Kauai, specifically to the Na Pali coast. 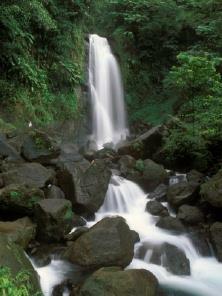 Here, you will find tropical Fern Grotto, one of the most romantic places in the world. The views are amazing, the beaches are white and the water is clear blue. Go for a ride down the river, enjoy a game of golf overlooking the ocean or just relax on the beach. Perhaps you would like to get away without having to worry about anyone around you. Private island getaways are a great place to go. These are islands you can rent and have to yourself. Most are privately owned properties and they could be very small or larger. The benefit is complete privacy. Private Islands Online provides a range of great private islands available for renting from around the world. Visit the Maldives for a luxury resort stay in the Indian Ocean. Cruise down into Halong Bay, for an old world experience, in Vietnam. Head off the coast of Spain to the Baleric Islands where you will find amazing views and a group of islands completely different from each other. Isle of Capri offers an Italian wonder, and it is also the home of the world's oldest grapes. Do spend some time enjoying the Blue Grotto, the island's more famed attraction. For an experience to fill your senses, travel to the island of Cyprus. The countryside is amazing with its wild herbs growing fully. In addition, this is the birthplace of the mythical Aphrodite, not to mean the home of some of the Mediterranean's best beaches. Any of these amazing locations is worth spending your time in. Best of all, you may find your senses filled with magic, mystery and of course romance. The most romantic getaway island vacations are definitely worth your further investigation.